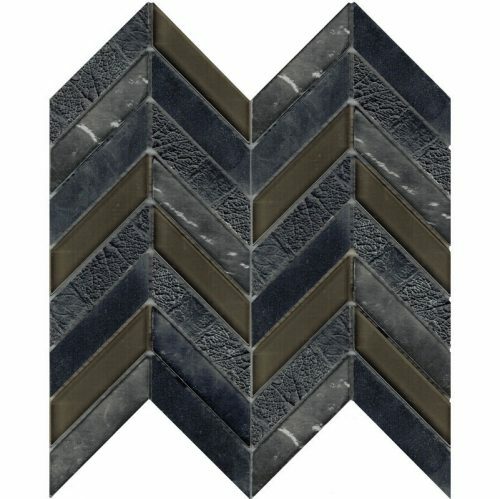 The Art Deco Grey Chevron is a beautiful decorative mosaic that will perfectly complement a range of décor styles. Featuring an attractive chevron pattern that comprises a mix of stone and glass mosaics in natural shades of grey, it makes an excellent choice for bathroom walls and features walls. The Art Deco Grey Chevron measures 300x300mm in dimensions and is sold per sheet. 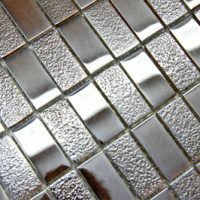 Give your home a lavish touch with this decorative mosaic. 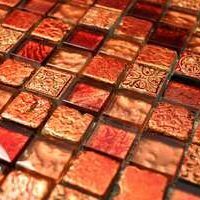 The neutral colours of this mosaic will do well to blend in with all styles and colour schemes. It is also available in an interlocking and stacked format, allowing you to create any look you desire. Experience the highest standards of quality with the Art Deco Grey Chevron. It exhibits superior artistry and is covered by 10-year quality assurance. For a beautiful decorative mosaic in Perth, choose the Art Deco Grey Chevron at Ross’s Discount Home Centre. 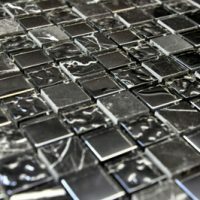 Shop from our online store to buy this attractive decorative mosaic at the most competitive price in the market and avail our free delivery across Perth Metro!